Have you ever wondered what your animals are thinking? Have you wanted to find a way to communicate and connect with them to improve their health and behavior, and your relationship with them? Heather Green learned early in life that she could sense what the people around her were thinking, feeling, and experiencing. This led her into the healing professions; first a nurse, and later a counselor. But something always seemed to be missing. Then the horses came. And all the pieces fell into place. 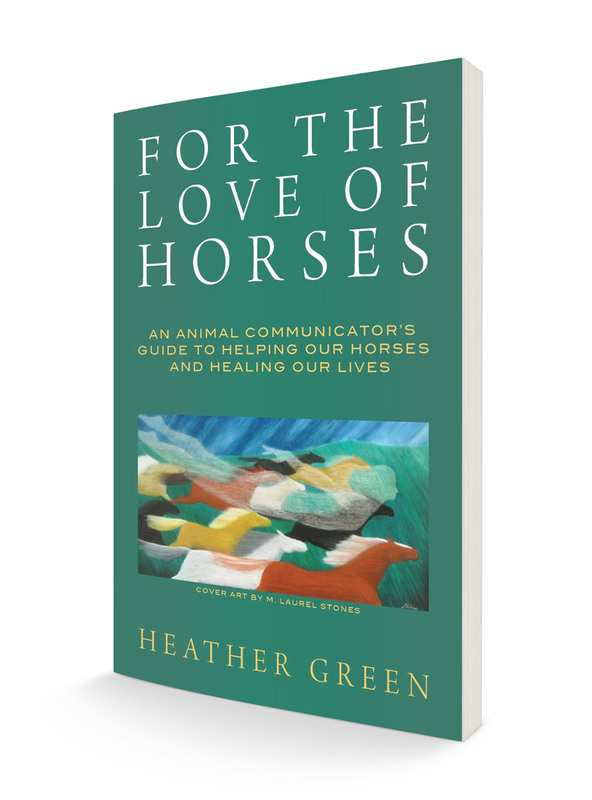 For the Love of Horses is a book for horse people, animal and nature lovers, healers and those on a path of healing and spiritual transformation. Riders will learn how to enhance their partnership with their horses, healers will gain a new view of what it means to be there for their clients, people with wounds they never thought could mend will find hope. Green takes the reader on a journey shrouded in mystery, destined for clarity and wholeness. Part memoir and inspirational coaching, this book tells the story of one woman’s discovery of her life’s mission. Those whose stories interwove with hers along the way come to life in these pages. The horses can be heard. And the promise of this book is that the world can change and thrive. 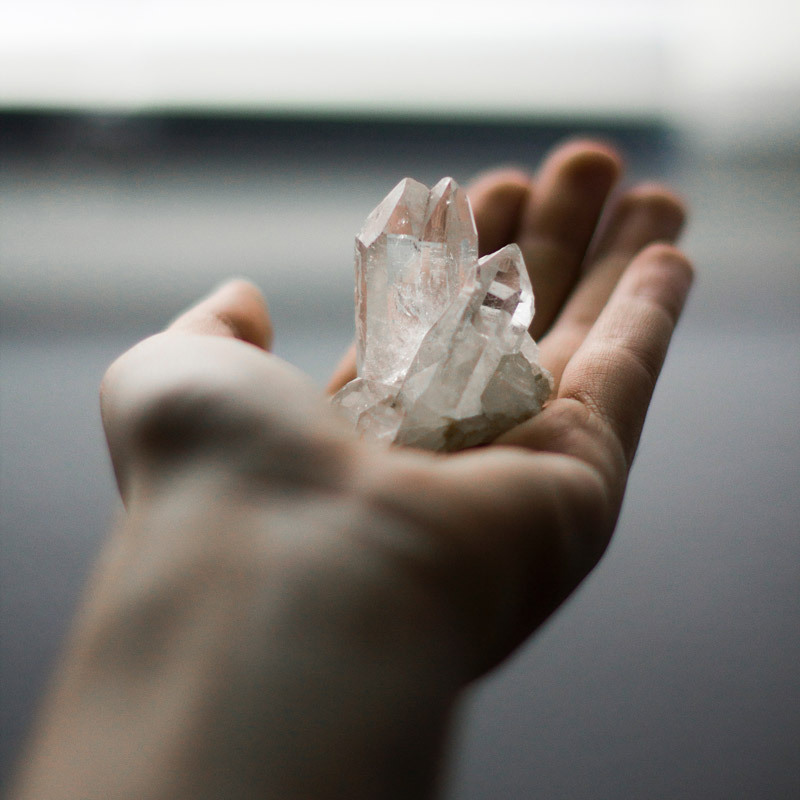 Heather brings healing energy channeled from the Angelic Realm into a crystal that is appropriate for you. This healing and transformation occurs on a body, mind & spirit level and addresses life challenges and cherished dreams/goals. $25. Receive monthly email healing meditations (mp3 format) to help you stay balanced in all life areas. Each meditation will address what is happening with the transformation on Earth that month and will provide the energy healing needed to help you more easily assimilate the universal energies and adapt to worldly changes. The emails are between 11-13 minutes long. $6/month or $50 per year. You can also pay $10 to receive a single meditation when you need it. For a sample email meditation click here. *subscriptions may be canceled at any time through your Paypal account. All recordings and email meditations will be sent by email within 24 hours of receiving payment. I do 4 or 5 of these classes per year.